Almost half of all kids in Contra Costa County have immigrant parents. As champions for the most vulnerable among us, we wholeheartedly refute policies that cause harm to immigrant families and our community. Immigrants move to America to make better lives for themselves, and to contribute to our culture and community. That’s the American Dream. Or at least it always has been. 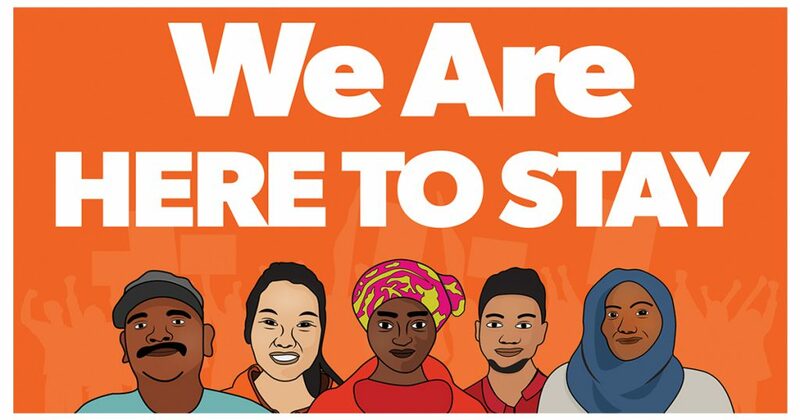 Today’s political climate – with its unsound Executive Orders and inhumane deportation policies – is putting more and more families in harm’s way, especially non-citizens, people of color, and Muslim Americans. Immigration policies that break families apart threaten young children’s safety, stability, and development. Children should not live in constant fear their parents will be taken away at any moment. Children should not be further traumatized when a loving parent is deported or by policies that promote racial hatred. We are exploring many strategies for protecting children and preserving their families, including training service providers and other partners on immigration policies and resources, promoting sanctuary city and safe haven policies, providing trustworthy information for families at our First 5 Centers, and advocating for just immigration policies. Senate President pro Tempore Kevin de León (D-Los Angeles) has introduced the “California Values Act” to prevent the use of state and local resources for federal immigration enforcement that would separate families and hurt the state’s economy. The immigrant Tenant Protection Act of 2017 (Assembly Bill 291) aims to strengthen state law to protect immigrant tenants from intimidation and retaliation in their homes. California School Superintendent Tom Torlakson urges school districts to remain safe havens for students; see Pittsburg Unified’s resolution. In America, no one should fear for their safety because of the color of their skin, what language they speak, how they pray, who they love, or where they’re from. At First 5 Contra Costa, we will stand with our families in this moment of crisis. We believe, like Marian Wright Edelman, that if you don’t stand up for children, then you don’t stand for much of anything. This entry was posted in Health and Safety, In the News and tagged deporation, ICE, immigrant children, immigration, immigration raids. Bookmark the permalink.